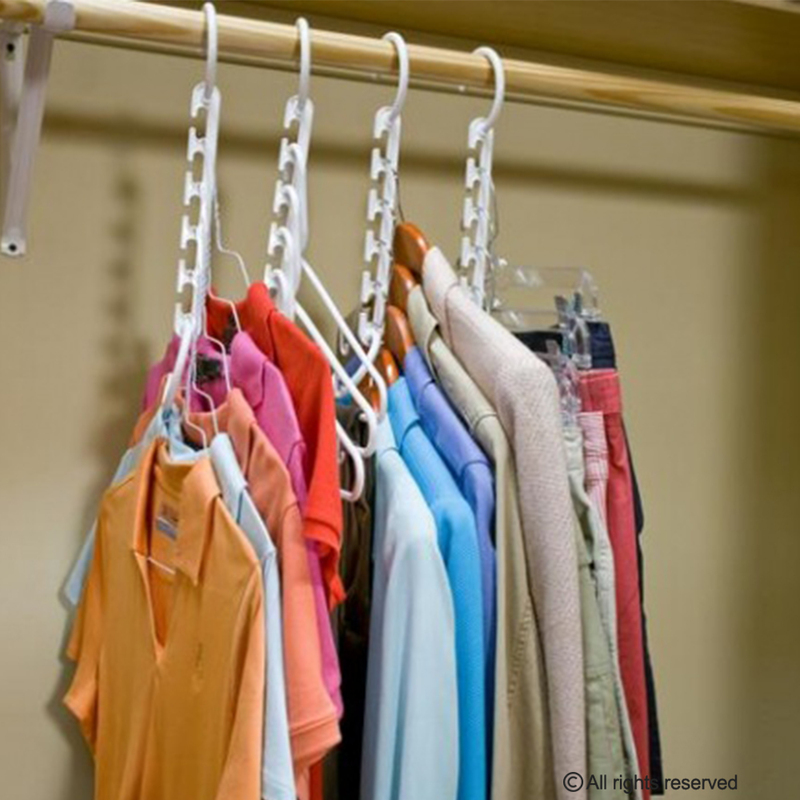 Wonder Hangers are the ultimate solution to any crowded closet. Space saving Wonder Hangers triple the hanging space in your closet instantly. Place Wonder Hangers on closet rod, hang 5 wooden, plastic or metal hangers in open slots, lift one of the hooks and allow the Wonder Hanger to drop down to a vertical position. Clothes stay neat and tidy. 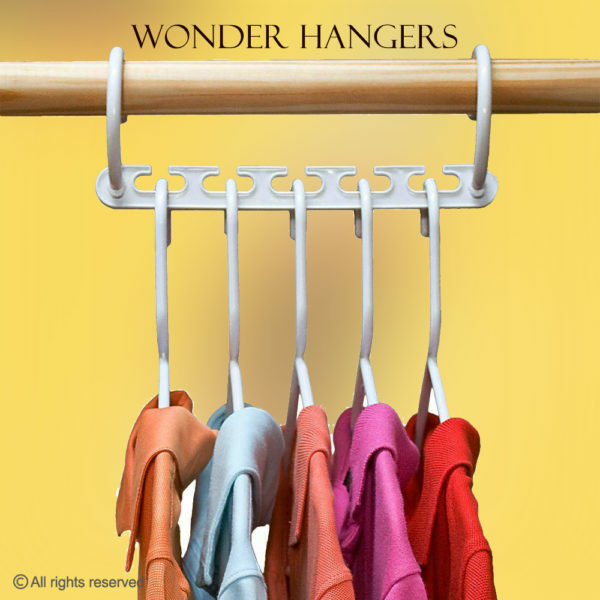 Each Wonder Hanger holds up to 40kgs weight. Plastic. Strong enough to hold 5 winter coats. 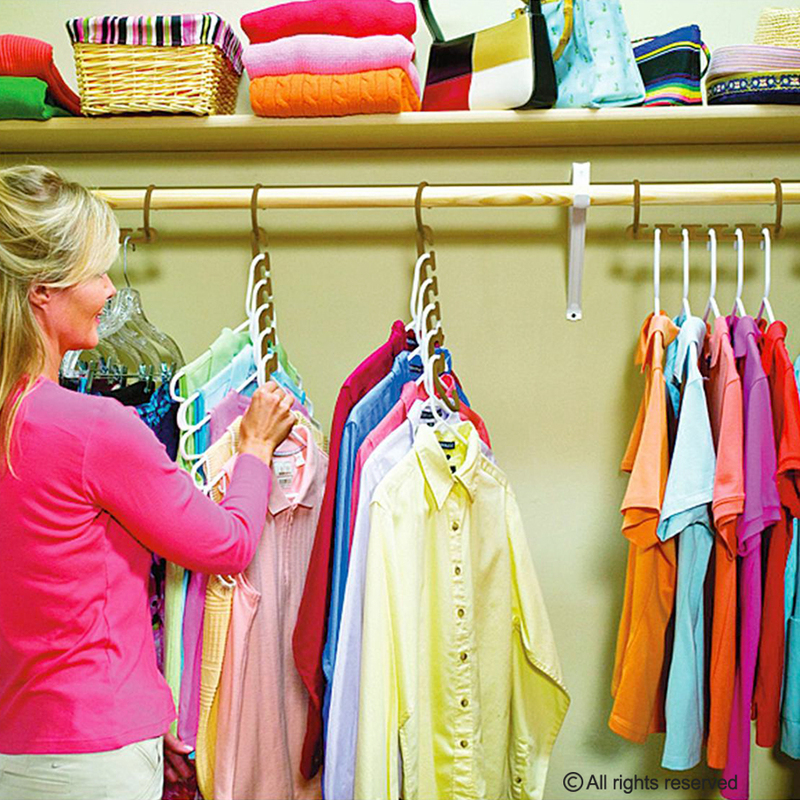 Set of 8 holds up to 40 garments.